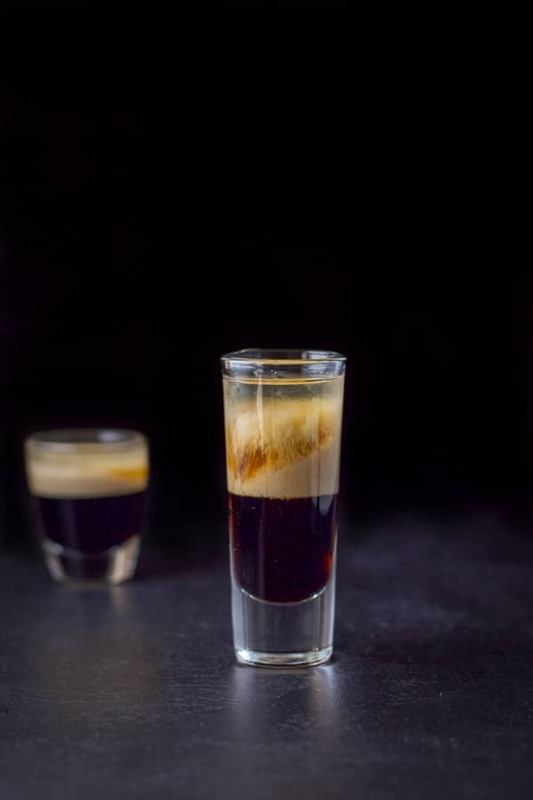 Reminiscent of the famous dessert, this Black Forest cake shot is a delicious and fun drink! 2. Take cocktail spoon and place it in the glass bowl-side up, above the liquid and slowly pour the cherry brandy over the bowl into the glass.